Dr. Bart Ribbens, graduated in 2006 at the Artesis University College Antwerp in the department od Industrial sciences, electromechanics. In 2007 he started his research in the field of robotics and vision technology to clean artworks using a pulsed laser. The main goal of the project was to develop software to plan the robot paths based on 3D clouds from laser scans. Aftwerwards he started a PhD reasearch in the field of optical measurement techniques for mechanical and biomechanical applications. 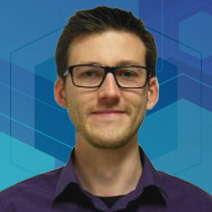 In 2015 Bart obtained his PhD and now, he works as a postdoctoral researcher in the Op3Mech research group of the University of Antwerp. His main focus is on the development of multispectral measurements and quality control.